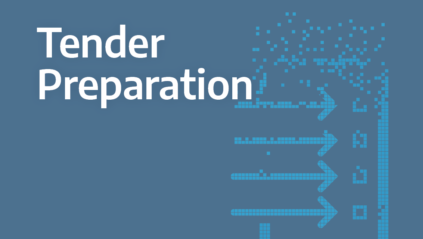 Construction Tender Preparation is a new course from Operam Academy. You see, project delivery follows a long-established project management process. Which may vary slightly, dependant on the size and complexity of the project. But generally follows the same approach. A key element of which is the appointment of delivery teams to deliver works, goods or services to the project via a tendering process. The appointment of delivery teams to deliver information to the project is done in the same way and is often done alongside the delivery of other works, goods or services. The role of the appointing party is also the same. Therefore, they must clearly communicate what information they need, when they need it and how they need it to be delivered. Get this right, and the tenderers will be able to provide a complete and accurate response. Upon which, the appointing party will be able to make an informed selection without any of the usual surprises. Once a project has been initiated, appointing parties spend most of their time and effort on preparing the requirements for, and outcomes of, the new or refurbished asset. However, appointing parties are increasingly seeing the benefit of focusing a similar amount of time and effort in preparing the requirements for, and outcomes of, the virtual asset, i.e. the project information model. Investing this time and effort at the start of the project will enable appointing parties to reduce risk, increase predictability and achieve better business outcomes using digital information. This is where the project information management process comes in. And why the appointing party plays an important role at a project and appointment level in providing the right commercial and technological environment. Therefore, to enable teams to innovate and work collaboratively. You can now see why the appointing party is at the heart of the project information management process, whether they want to be or not. Because, if for whatever reason, appointing parties choose not to fulfil their responsibilities. This should not prevent delivery teams from managing their information effectively during their appointment. Delivery teams can still achieve significant benefits from producing information collaboratively. Regardless of whether or not the appointing party has provided the right commercial and technological environment. Therefore, to learn how you can take this course and others as part of www.operamacademy.com. Plus how you can get a free 14 day trial.